Let the waiting begin! With the last of the Kentucky Derby prep races having been run, and with nearly three weeks remaining until the first Saturday in May, there’s not much to do except wait for the big race to arrive. …Unless, of course, you’re a handicapper, and in that case, the fun is just beginning! With the point standings locked in, and the field for the Derby more-or-less determined (barring the usual last-minute defections), we can now start analyzing replays, past performances, pedigrees, speed figures, pace scenarios, and many other numbers and statistics in an effort to find the Kentucky Derby winner. 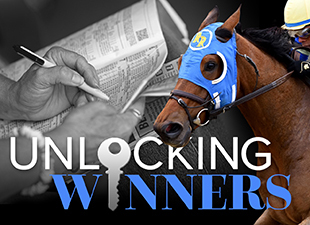 We’ve already covered a lot of ground in the comments sections of recent "Unlocking Winners" blog posts (special thanks to Monarchos Matt for all of his efforts! ), but now that the Arkansas Derby is over, I would like to tackle a very intriguing and influential aspect of handicapping the Derby—the pace scenario. As we all know, the effects of the early pace in the Kentucky Derby have a huge impact on the outcome. In years where the pace is incredibly swift—as it was in 2013—late-runners typically dominate the race, often sweeping the top three or four finishers. But in years where the pace is modest, as in 2014 and 2011, forwardly-placed runners tend to perform much better, although the ten-furlong distance of the Derby still allows the closers to get involved. The Derby pace scenario will be particularly important to decipher this year because many of the top contenders have shown a tendency to race on or near the lead. American Pharoah, Dortmund, Carpe Diem, Materiality, and Firing Line—all of them major prep race winners—have shown great tactical speed, as have Upstart, One Lucky Dane, Stanford, and Mr. Z. With this much speed in the Derby, it’s easy to assume that a destructive pace duel is bound to ensue, setting the race up for a closer like Frosted, Mubtaahij, International Star, or Far Right. But digging deeper, I don’t think this is going to be the case. While it’s true that there is a lot of speed in the Derby, it’s also true that most of those front-runners have also shown the ability to rate. American Pharoah settled very nicely in the Arkansas Derby, Dortmund came from third to win the Los Alamitos Futurity, Carpe Diem closed from last—last!—to finish second in the Breeders’ Cup Juvenile, Materiality won the Florida Derby after tracking the early leader, and Firing Line came from fourth in a field of five to finish second in the Robert B. Lewis. The fact that these speedy colts don’t necessarily need the lead could have a dramatic impact on the pace of the Derby. It’s important to remember what happened in last year’s Derby, when Vicar’s in Trouble, Wildcat Red, California Chrome, Chitu, Uncle Sigh, and General a Rod were expected to ensure a fast pace. This fast pace failed to materialize when Vicar’s in Trouble and General a Rod tried to rate and Wildcat Red was bumped at the start, leaving Uncle Sigh and Chitu to cruise through modest fractions of :23.04, :47.37, and 1:11.80. Taking advantage of the slow pace was California Chrome, who settled in third early on before taking command to win decisively. Of course, you never know when something unexpected could throw off everything—who would have guessed that the addition of blinkers and a sloppy track would cause Palace Malice to run off and set a ridiculous pace in the 2013 Derby? But at this point, I am expecting that the pace of the 2015 Derby will be slower than many are expecting, perhaps with a half-mile in :46 4/5 and six furlongs in 1:10 4/5. There’s one other factor to consider when analyzing the potential pace scenario of the Derby, and that is the quality of the expected pacesetters. A blazing pace certainly didn’t cause Bodemeister to collapse in the 2012 Derby—he was talented, could stay the distance better than most, and ran very well to finish second behind I’ll Have Another. In my opinion, this year’s potential Derby front-runners are an extremely talented group that will be able to handle a fast pace and still finish strongly in the homestretch, turning the race into a pace battle of the truest sense. Some won’t be able to handle the pressure, but I think that others—perhaps American Pharoah and Dortmund—will survive the battle and secure spots in the superfecta, simply because they have the talent to set a fast pace and still finish strongly. Of course, there will be many other factors to consider in projecting the Derby pace scenario—for example, the post position draw and possible defections in the lead-up to the race. But we have to start somewhere, so let’s begin! How do you think the Derby pace will unfold? In order to aid in handicapping the Derby, here is a current list of the top 23 Derby contenders, along with the replays of their last races. Also, here are links to the Kentucky Derby prep race schedule and the complete entries and current standings for our "Road to the Kentucky Derby" Handicapping Challenge. Enjoy the racing!